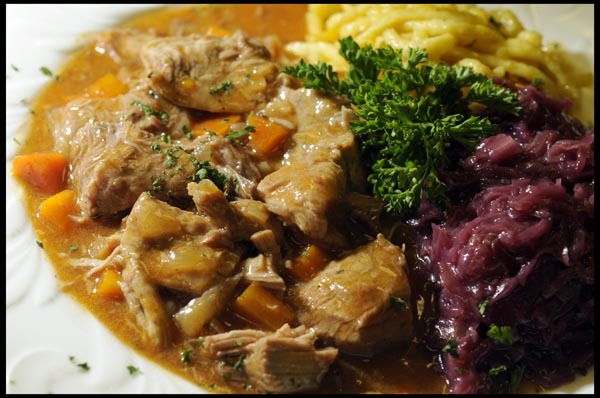 Gulasch Soup « GASTHAUS: got 'kraut? 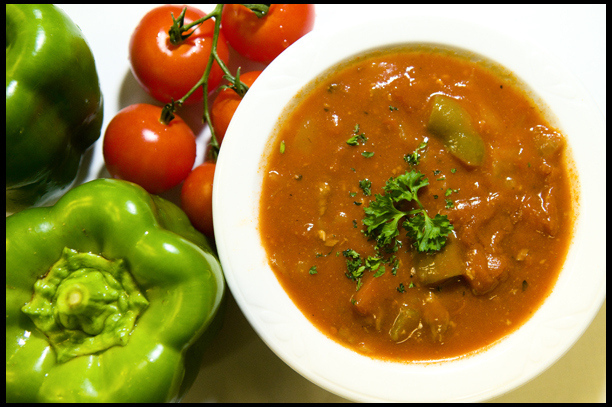 Spicy Tomato based Soup with Beef Cubes, Bell Peppers, Onions and Garlic. Tender Medallions of Beef cooked in a Burgundy Wine Sauce topped off with sauteed Mushrooms, crispy Bacon and sweet Pearl Onions. Braised Lamb Shank topped with a Garlic Citrus Parsley and served with Roasted Carrots and Spätzle. Arugula, fresh pears, caramelized onions and blue cheese crumbles, tossed in a homemade fig vinaigrette topped with toasted walnuts. 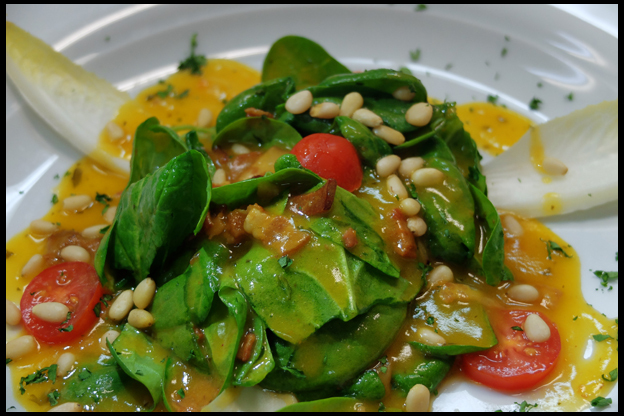 Baby spinach tossed in a warm bacon, potato dressing and garnished with pine nuts, endive leaves and tomatoes. 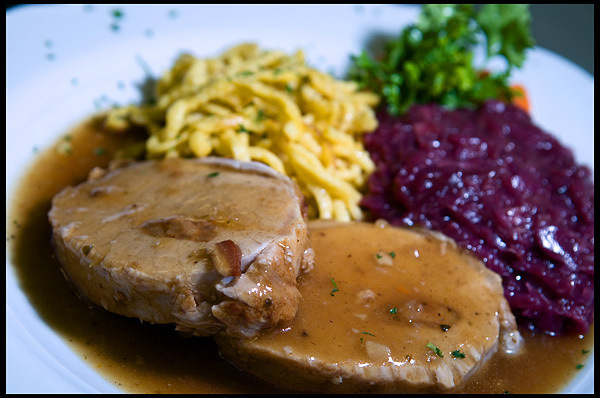 Pork loin stuffed with onion, bacon, herbs and garlic, slowly oven-roasted and served with spätzle and red cabbage. 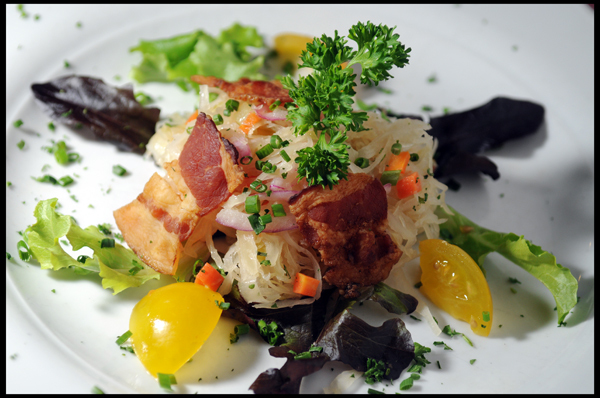 Cheese Salad: Shredded Gruyere Cheese tossed in a light mustard vinaigrette, crispy bacon and red onions and set on top of a bed of lettuce. 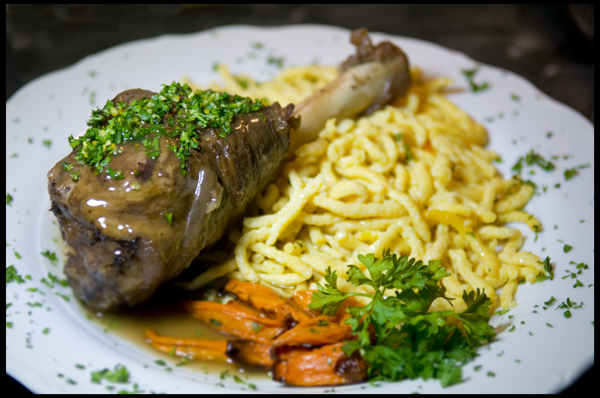 Braised Lamb Shank topped with Garlic Citrus Parsley and served with Roasted Carrots and Spätzle. Pork Loin stuffed with Onion, Bacon, Herbs and Garlic, slowly oven-roasted and served with Spatzle and Red Cabbage. On December 18th, 1993, after months of remodeling, the Greipel Family, all born and raised in Germany, except the oldest daughter Simone (born in London, England), finally opened the “Gasthaus” at its present location. 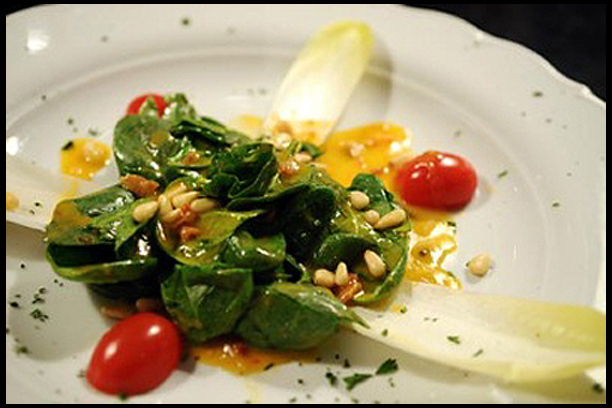 Executive chef/owner Michael Greipel together with Chef Jason Malone, create authentic dishes from Old World recipes. Annemarie Greipel, her daughter Simone, and granddaughter Molly, and friendly staff are responsible for taking care of the guests, many of them regulars. Since opening in 1993, the menu has grown from a few items to a large selection. Everything is made from scratch, using only the finest and freshest ingredients. Michael handpicks all his meats, fruits and vegetables daily. Annemarie and her daughters make all the desserts daily, in house from family recipes. While most of the entrees are ‘a la carte’, special requests are gladly accommodated after a short consultation with the chefs. Parties and take-out orders are welcomed. The Gasthaus can seat approximately 60-70 people. The décor, which includes two ‘Chalets,’ is a mixture of family pictures and personal items from the Greipel’s home in Germany (Bochum) and gifts from guests. A family member painted the two murals on the walls. The female servers, several of them from Germany or Europe, wear traditional Dirndl dresses. The whole restaurant is available for private parties or special occasions. There has even been a real wedding in one of the ‘Chalets’. For many years ‘Wave 3’ TV (NBC affiliate) has broadcast a live show from the restaurant. 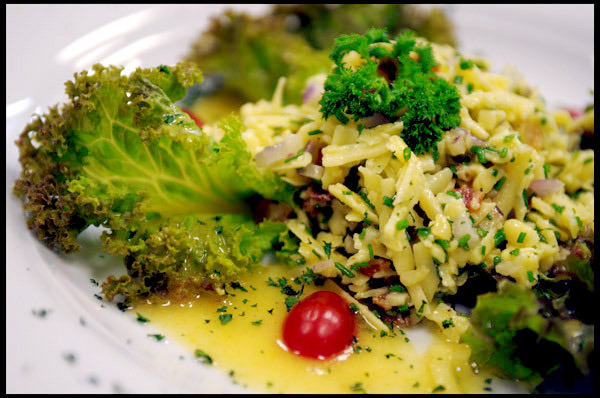 The Gasthaus Team has taken part in cooking demonstrations on TV as well as the ‘Home and Garden Show’. 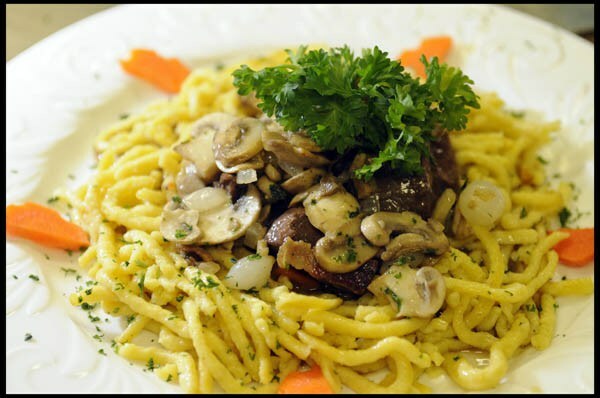 The Gasthaus consistently receives positive reviews from newspapers and magazines. 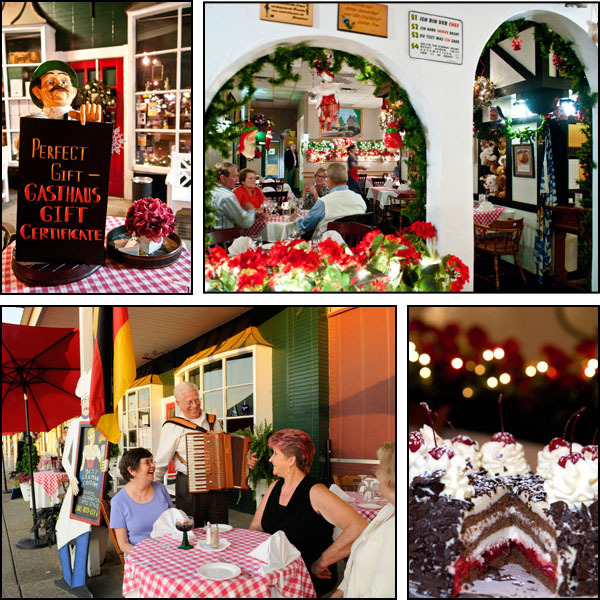 The ‘Guide to the Best Restaurants in America’ has named the Gasthaus ‘The Best German Restaurant’ in Louisville for 2009, 2010, 2011, 2012, 2013, 2014, 2015, 2016. People visit from all over America and the world, which the guest books confirm. The whole Gasthaus Team, many of them having been there since ‘day one,’ take great pride in everything they do. Tuesdays-Saturdays from 6pm until 9:30pm. Closed Sundays and Mondays. Reservations are highly recommended, especially for large parties and on weekends! Please call 502-899-7177 to place a reservation.